Contra (Konami, 1987) - NewRetroWave - Stay Retro! | Live The 80's Dream! 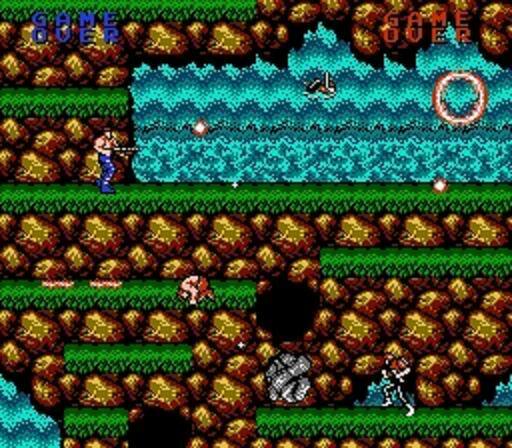 If you had an NES as a kid, and you lived near a video rental store that also dealt in games, Contra was probably one you tried. The difficulty curve may have thrown a lot of kids off, but Contra was (and still is) nonetheless a popular game, one that spawned a franchise. The intense action and challenging gameplay enthralled NES players when it came out in 1988, but the game has a much richer history than many know. Contra was originally released as an arcade game in 1987. The game was known as Gryzor in Europe and Australia. The arcade version’s gameplay is slightly different from what you may be familiar with, and it has (obviously) superior graphics and sound. Otherwise, it is recognizable as Contra. The NES version was produced in-house by Konami, during the late 80s when there was a rush to produce titles for the NES system. In fact, Konami started a branch company, Ultra Games, to circumvent licensing limits set by Nintendo and truly dominate the market. However, Contra was among those produced under the Konami name. In addition, a licensed port was made by Ocean Software for various home computers (such as the C64 and ZX Spectrum) and Konami also released a PAL region version called Probotector. One of the more memorable aspects of Contra’s gameplay is the switching up of viewpoints and angles. In most of its levels, your commando moves through the environment in a familiar side-scrolling fashion. However, in the two “bases,” this is switched for a pseudo-3D view over the backs of the heroes as they rush forward into the base. During the boss fights within the bases, the view returns to something similar to normal, save that the default direction your gun points is upward. Contra’s original storyline involves two Marines, who are sent to investigate the Red Falcon organization. The arcade story places them in “the Galuga Archipelago near New Zealand,” but in the NES version this is simply “The Amazon.” Wherever it takes place, the goal is to infiltrate the island and discover the source of the Red Falcon organization’s true power. This leads to confrontations with enemy soldiers, automated guns, mutants, alien spawn, and more. Powerups come in the form of pylons or floating balloon-like objects that can be shot, releasing the goodies within. 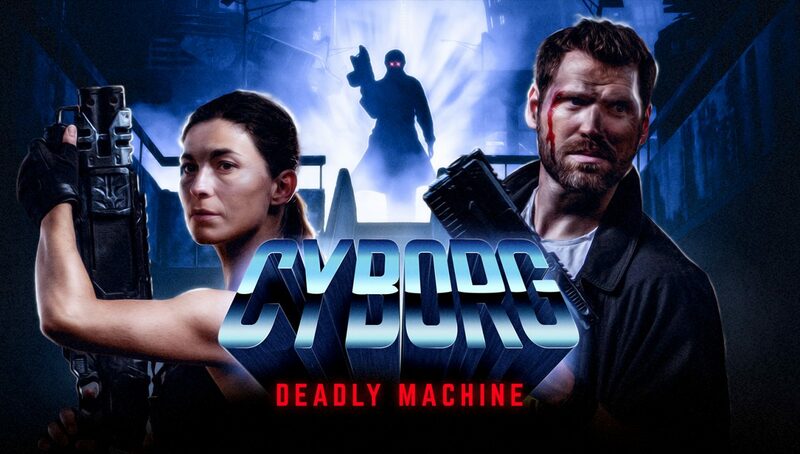 Players will find different types of guns, including a laser beam, a corkscrew-trajectory fireball, and the ever-popular spread gun. There is also a powerup that simply makes your fired projectiles move faster, as well as a rare powerup that makes you (very briefly) invulnerable to harm. And trust me, harm is waiting for you everywhere in Contra. The game is notorious for its difficulty; it is playable, and not impossible to beat without cheating, but doing so is definitely something to brag about. 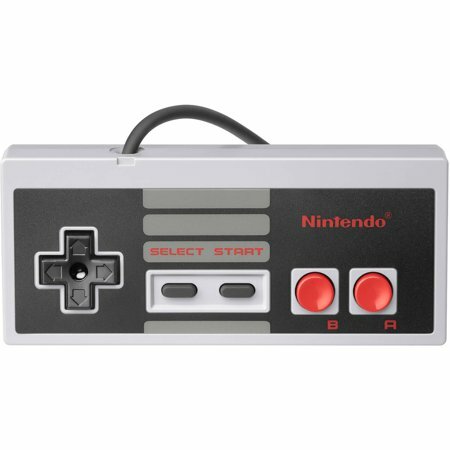 Most players of the NES version would enter the “Konami Code” (up, up, down, down, left, right, left, right, B button, A button, start) to gain 30 “lives” instead of the standard three. 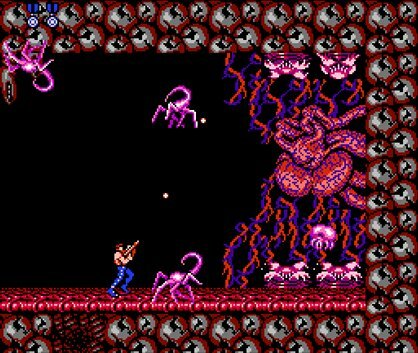 It is remarkably easy to die in Contra; you have no life bar, rarely any protection from harm (except for the rare powerup mentioned above), and touching any part of any enemy soldier or object instantly spells your doom. Even with the thirty lives granted by the cheat code, the game is no joke. Staying alive requires very quick reflexes and a good sense of what’s going on around you. Focusing on that while also blowing away your foes… well, therein lies the challenge. I make no complaint by pointing out the difficulty. Some NES games were difficult and also boring to play; Contra is difficult but keeps calling you back because of the inherent thrill involved in playing it. Dyed-in-the-wool retro gamers will back me up when I say that there are very few “easy” games for the NES that were any good. Contra is a good example of an arcade-style port to the system that both translated well and had broad replay value. It spawned several sequels across decades of gaming systems; there is, in fact, a game in the franchise for the DS, the Wii, and the PS3. All three are quite good. 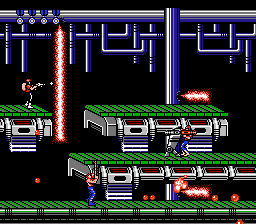 Notable among earlier sequels is the Genesis game Contra Hard Corps, which expanded gameplay options and featured four selectable characters with unique sets of weapon powerups. It goes without saying that Contra belongs in line with Konami’s other home-run franchises. One measure of success is longevity, and the series has shown that. The original arcade/NES game stands out even today as a challenging, entertaining classic. Keep an eye out next month, Retro Fans! We’ll be kicking off May with another classic: River City Ransom.